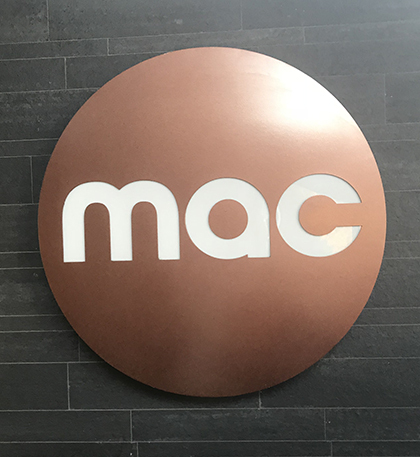 Media students at The Sixth Form College, Solihull attended a screening at the Mac in Birmingham last week, as part of National Schools Film Week. The screening and talk was entitled ‘Britain on Film: Black Britain’. It was a depiction of black British life throughout the 20th century. The film spanned 1901 – 1985 and featured miners in the collieries of Edwardian Yorkshire and Lancashire, soldiers joining the services in World War One, school leavers in 1965, racial tensions on a Liverpool housing estate and partying on the streets of the Notting Hill Carnival. The programme delved into the struggle with racism and prejudice over the years, while also celebrating stories of migration, community and black culture in Britain. As well as enjoying the documentary screening at the MAC, Media students also got the unique opportunity to meet Yvonne Connikie, who is a programmer/curator and filmmaker, founder of the Black Film Festival Wales 2000-2008 and Founder member and former Chair of The New Black Film Collective. She is also Assistant Curator and Education Coordinator for ‘Big City Stories’, a Black London Film Heritage Archive Project sponsored by Film London.